Substantial 2 1/2- story Neoclassical style house with a pyramidal roof, 2 interior chimneys, boxed and molded eaves, and plain siding. Openings include a glazed and paneled front door with transom and sidelights, large 1-over-1 sash windows, and a front gabled dormer with a Palladian window. Some upper sash have Queen Anne-style muntins. 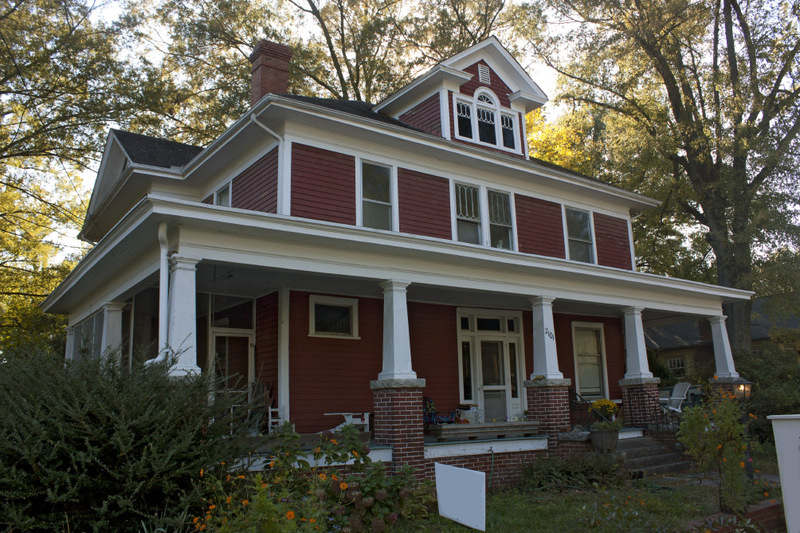 The wraparound porch has Craftsman brick and granite posts. J. W. Neal bought this lot in 1914 and had the house built. 1925 CD: J. W. Neal occupant. A significant later owner was Walter Ford.